← I already feel happier! First there was Xanga. To this day I cringe remembering the sad confused confessions spat out by perpetually emotionally compromised teenagers (especially myself). Nonetheless, teens will be teens and the platform served it’s purpose of sharing content and thoughts outside school. And now, many years later, enter Facebook. Now don’t get me wrong, this isn’t a complete trashing of Facebook alone. I begrudgingly like the app; it’s fun to see how your old buddies have grown from the awkward silent type to the surprisingly good looking and successful adult (and we’ve all seen and probably secretly enjoyed the opposite). Old and new friends drift in and out of one’s newsfeed to provide a constant stream of updates and entertainment. The problem is, as Facebook has evolved, I enjoy getting online less and less. I’ve found my old friend list has exploded to a level of which not even 10% of my “friends” attempt to stay in touch, or even appear to give a damn what content I share (even after I gave up on the dreaded political rants!). My content has been drowned out by an excess of selfies and hashtags (Did I already say Twitter be dammed? ), and admittedly and ironically I turn my nose up at 90% of the content myself, scrolling and scrolling and scrolling… Studies are even beginning to show the negativity that current Social Media can bring to the table, and the types of people it attracts and creates. Enter Postly. No longer do I have to open another social media site when I’m bored and scroll through mostly meaningless (and sometimes offensive and irritating) content. I open Postly and I’m actually excited to see what my real friends have shared with me and the groups I’m in. Postly does away with “likes” and replaces them to a certain extent with a set of awesome emoji. It let’s me share a reaction with at least some shred of emotion and context. 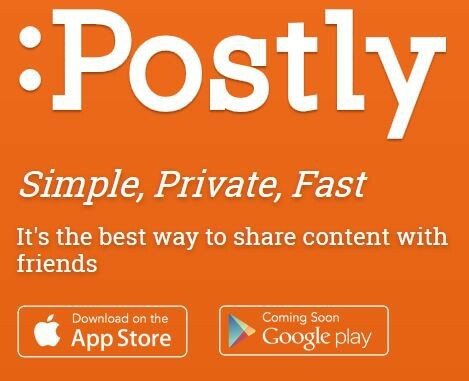 For me, Postly is channeling time previously spent scrolling and glaring at my screen to time spent sharing hilarious and meaningful content with my friends that actually give a damn. Facebook (and yes… Twitter) will always have their places, however I don’t want to find myself in a mental state where getting 100 likes over a picture or the lack thereof has an effect on my mood. While I don’t exactly hate my life because of current Social Media norms (I’m actually a happy dude I swear! ), I sure as heck enjoy Postly a lot more. I’ve been able to have some great conversations with my friends, all while enjoying the veil of privacy that threads and groups provide. So go find a few friends and get them to try out Postly with you, and you too can hate your life a little less because of Social Media*.